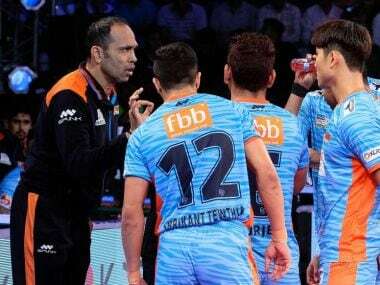 Preview: Bengal Warriors go up against Dabang Delhi in an Inter Zone Wildcard Match on Day 3 of their home leg at the Netaji Subhash Chandra Bose Indoor Stadium in Kolkata on Sunday. While Dabang Delhi are assured of third place in Zone A, Bengal Warriors could seal the second place in their zone with a win. 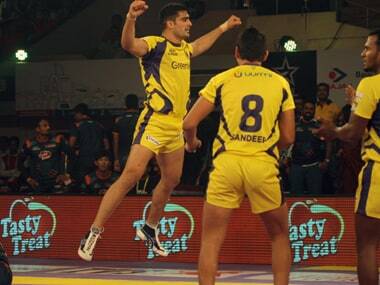 The only other encounter between these sides in Season 6 took place in Pune which Dabang Delhi won by a nine-point margin. Rookie Naveen Kumar shone for Dabang Delhi with 11 raid points on the night while Jang Kun Lee returned his first Super 10 of the season for Bengal Warriors. Veteran Jang Kun Lee kicked off the Kolkata leg in style with a Super 10 and followed it up with another solid outing against reigning champions Patna Pirates, getting tackled just once in five raids. Lee’s form could be a big factor in determining how far Bengal Warriors venture in this campaign. In his nine appearances against Dabang Delhi, Lee has managed three Super 10s, and the raider will be keen to add to his tally on Sunday. 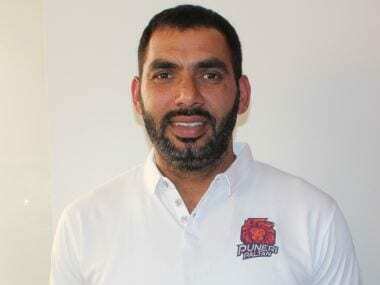 Raider Chandran Ranjit has been a steady contributor for Dabang Delhi throughout this campaign and has been an able partner to Meraj Sheykh and Naveen Kumar in offence. Despite playing as the secondary raider many times, Ranjit is just nine raid points behind the team’s leading scorer Naveen Kumar, an indication of his consistency and form. Ranjit has featured in every game for Dabang Delhi so far this season and he will hope to end the league stage on a high with a big performance against a strong Bengal Warriors team.